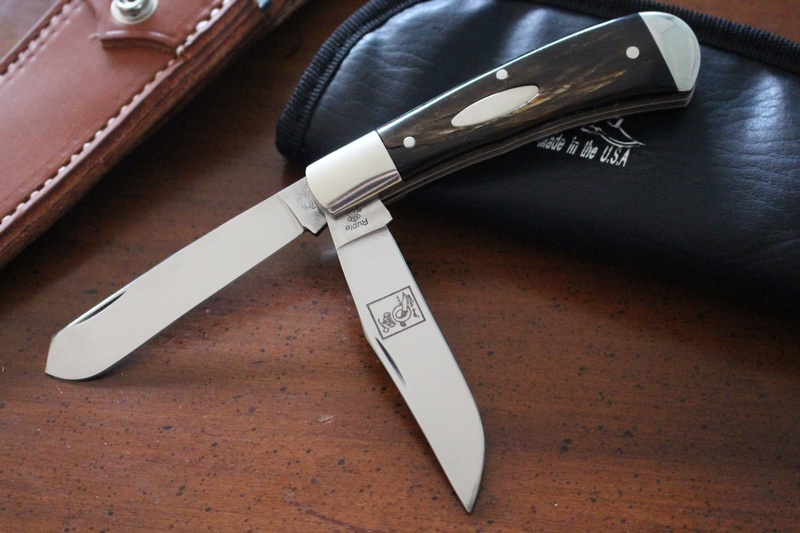 Limited edition of just 300, this is a two quality blade trapper. 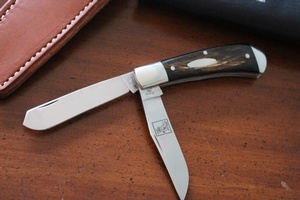 Excellent knife, D2 semi stainless flat ground blades, one clip point and one spey to 60HRC. 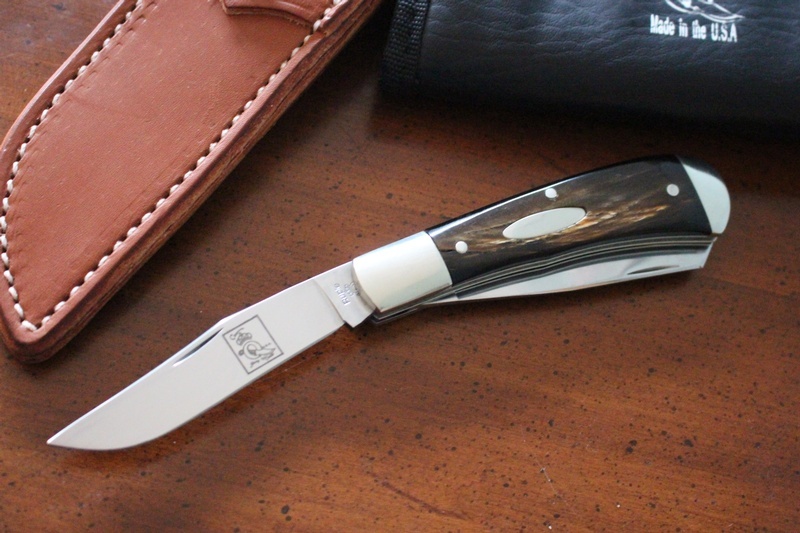 The handle is Buffalo Horn with silver nickel bolster and inlay and stainless pins and silver nickel liners too. Quality folder, great as a camp or outdoor knife and a great whittler. Purchase through PayPal by using the "Add To Cart" button above or use the form below to order the Queen Cutlery Ruple Trapper Buffalo Horn . 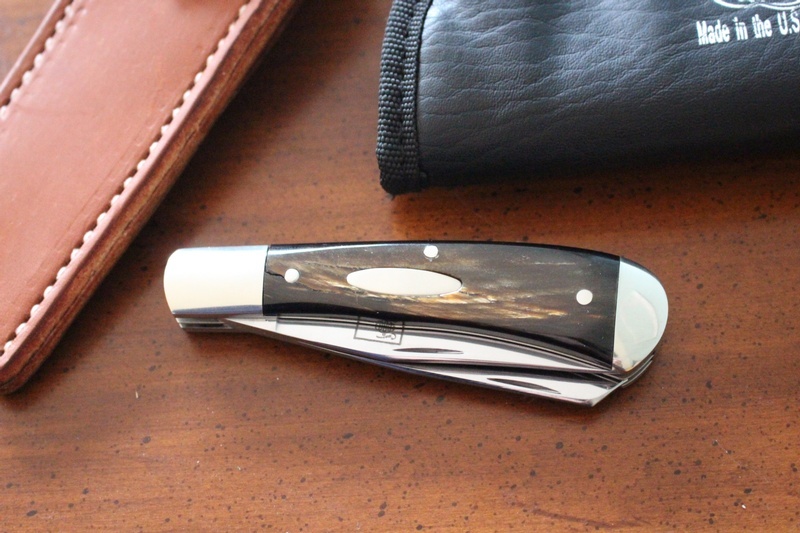 Feel free to contact us if you have any questions about the Queen Cutlery Ruple Trapper Buffalo Horn .